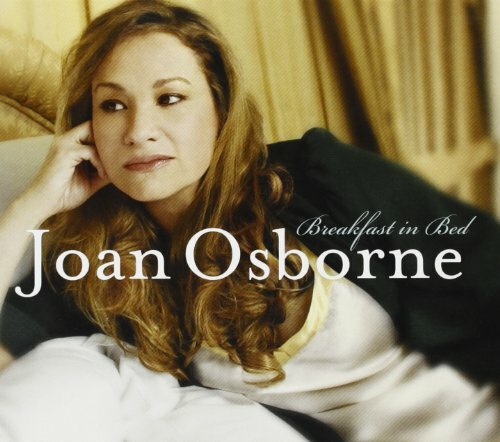 Breakfast In Bed, Joan Osborne's recently recorded new studio album, pays homage to the great Soul and R&B songs of the late '60s and early '70s. The album features a unique combination of unforgettable interpretations of timeless R&B classics and Joan's newly penned songs powerfully faithful to those classics. While the singer/songwriter, whose Top-5 single (What If God Was) One Of Us, propelled her album Relish into the Top-10 and went on to sell 3 million copies, has long explored different musical genres, there is no doubt that R&B is her first love. This new release highlights six of Joan's original songs and ten emotion-filled classics including: Midnight Train to Georgia, I've Got to Use My Imagination, Ain't No Sunshine, Breakfast in Bed, Kiss and Say Goodbye, Heat Wave and What Becomes of the Brokenhearted. The latter two are bonus tracks taken from the highly successful soundtrack of the music documentary Standing in the Shadows of Motown.